Outdoor children’s literary festival featuring story-reading, music and hands-on activities with guests Marie-Louise Gay and Alan Syliboy, with author and news anchor Starr Dobson acting as Mistress of Ceremonies. Coincides with the grand opening of author Sheree Fitch’s Mabel Murple’s Book Shoppe and Dreamery. 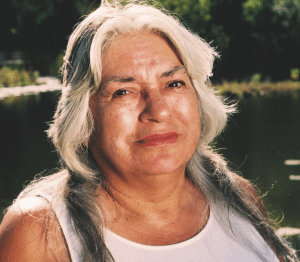 Saturday-night panel of authors Joy Kogawa, Lee Maracle and Fred Stenson, readings from four local BC writers, the presentation of the Richard Carver Award for Emerging Writers and more. Readings by guests Christy-Ann Conlin, Lesley Crewe, Dean Jobb and Terry Fallis, the Pitch the Publisher event and musical entertainment by Doris Mason. Solo readings, panel discussions, workshops and comedic performances with Carleigh Baker, Ronald Wright, Hasan Namir, Missie Peters, and more. Workshops, readings, concerts, films, panels, interviews, music, theatre and a slam poetry competition. Guests include Yann Martel, Alissa York, Jael Richardson, Marina Endicott, and more. Three days of readings, workshops, panels and other events for all ages, including the Young Writers Contest for high-school-aged writers. Featuring Jane Urquhart, Zoe Whittall, Giles Blunt, Steven Price, and more. Literary events as well as drama, music and visual arts, with Anakana Schofield, Esi Edugyan, Bill Rowe, Elisabeth de Mariaffi, and more. Activities and events spanning several genres of literature with more than 200 presenters. Featured speakers include Jennifer Estep, Will Ferguson, Sam Hiyate, and C.C. Humphreys. Hosted by Shelagh Rogers, Angela Antle and Ron MacLean, the annual festival will include readings, comedy, music and more with local and international writers. including Dennis Lee, Lisa Moore, Lawrence Hill, and Kathleen Winter. Readings, workshops, signings and other events with writers Kamal Al-Solaylee, Joy Kogawa, Sandra Martin, Iain Reid and more. Eight-kilometre bike ride along the Don River with stops at the Massey Creek Children’s Peace Theatre, Don River Valley Brick Works, and Corktown Common to enjoy author readings and local history. Outdoor festival with music, readings, discussions and signings featuring 15 authors, with keynote speaker Nino Ricci. Workshops, readings, and more taking place in the village of Eden Mills. Attending authors include Mary Walsh, Terry Fallis, Lorna Crozier, and Emma Donoghue. Free one-day festival with readings, discussions, a marketplace and other activities. Children’s festival with readings, activities, music, and games with participation from children’s and young-adult writers Scott Chantler, Gillian Chan, and Hélène Boudreau. Free one-day festival with readings, discussions, and many other activities. Last year’s participants included Yann Martel, Dr. Norman Doidge, David Suzuki, and Bif Naked. Bilingual festival including author visits to schools, lunch-hour panels, workshops, book launches, and readings. Performances, free exhibits and other activities will be held throughout Vancouver for a variety of ages and literary interests. Panels, readings, a writing contest and writers’ workshops with Gary Barwin, Charlotte Gill, Scaachi Koul, and more. A week long festival with readings, panel discussions, workshops and more, with writers and specific events to be announced in the near future. Free one day festival with panel discussions, workshops, live music, a marketplace and many other activities with local and national writers and storytellers. Free one-day festival with readings, discussions, contests and other activities. Featuring more than 200 Canadian authors, 150 events, 18 stages, and 265 exhibitors.